Retaining employees is probably one of the most important things an organization has to do. Considering the cost of hiring and training it takes for each employee, losing him or her turns out to be quite big cost for the organization. 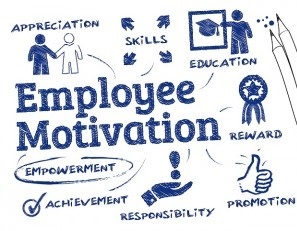 Employee retention is now actually considered to be an art, and a very valuable art it is. The Practice of Leadership: Developing the Next Generation of Leaders, points out, “The largest predictor of whether someone will stay with a company is their satisfaction with their immediate boss.” I am sure you know of many people in your close circle of friends who have switched organizations just because they were unhappy with their boss. Apart from this, many people realize that it’s not just the organization, they are just not happy with their line of work. There are some doctors who have earned MBA degrees because they prefer management to being a doctor. You must know of many retired army personnel who study human resource management and become lecturers because they like teaching. Individual must be researched thoroughly before their retention plan is made. The most popular method is by survey. One type of retention plan does not fit all. Each retention plan must be tailored to each individual in the organization. Money is not the core part of any retention plan. Sometimes financial retention plans are required, but they must be designed appropriately. Everyone need career advice once in a while, even some of the top management. For this, start a mentorship program. Sometimes employees become anxious or frustrated during trying times of the economy. Respond to these frustrations, try to find out exactly what is bothering them. Build a strong culture. Organizations with a strong culture have higher retention rates.